← Siblings, they’re good to have around. Yeah, yeah, don’t compare your kids, BLAH, BLAH, BLAH. I know all kids are different, and I shouldn’t be comparing my kids with each other, yadda, yadda, yadda. Here’s the thing though. They are too close in age NOT to compare. It’s not that I’m doing it negatively; I don’t get worried that Will isn’t doing the same stuff at the same age. I mostly find it interesting. 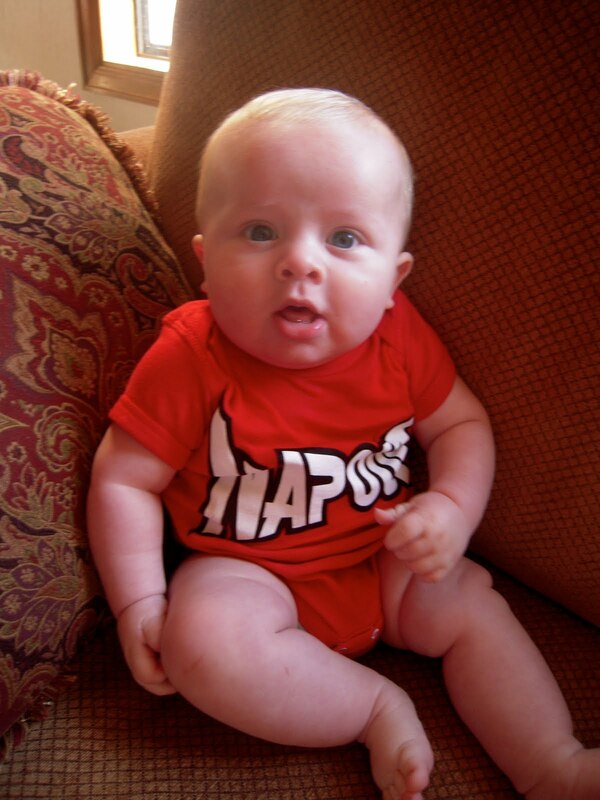 I’ve heard that a child’s development will either tend toward the verbal side or the physical side. Kalena definitely tended toward physical. As social as Will is, I’m guessing he’ll tend toward verbal. We’ll see. I’ve also heard that girls tend to develop more quickly, so maybe that’s the only difference. 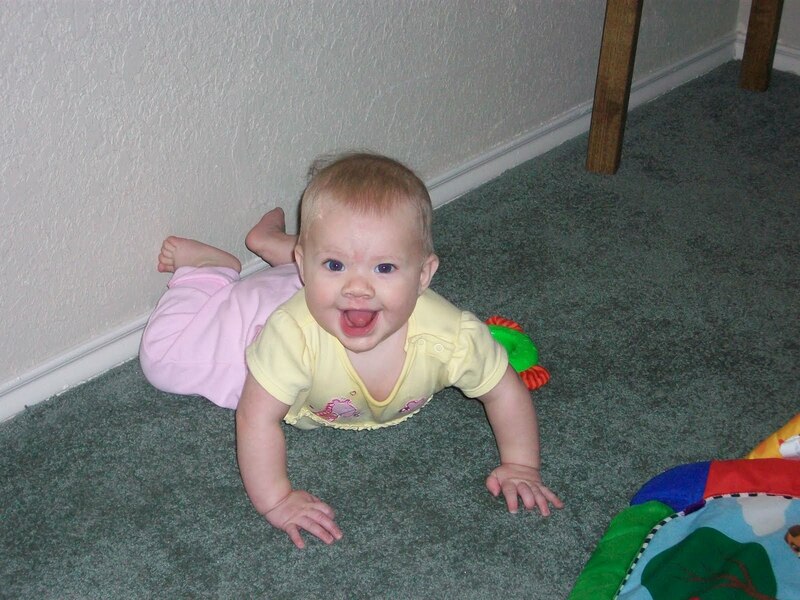 Here is Kalena at 5 months, working on her backward crawl. Backward crawled herself right into a wall for this shot. 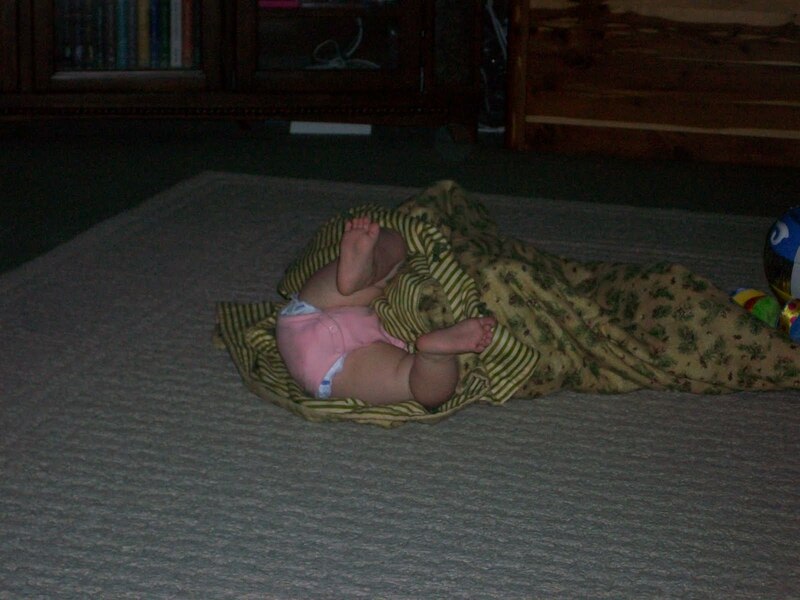 Rolling around, getting herself wrapped up in a blanket. 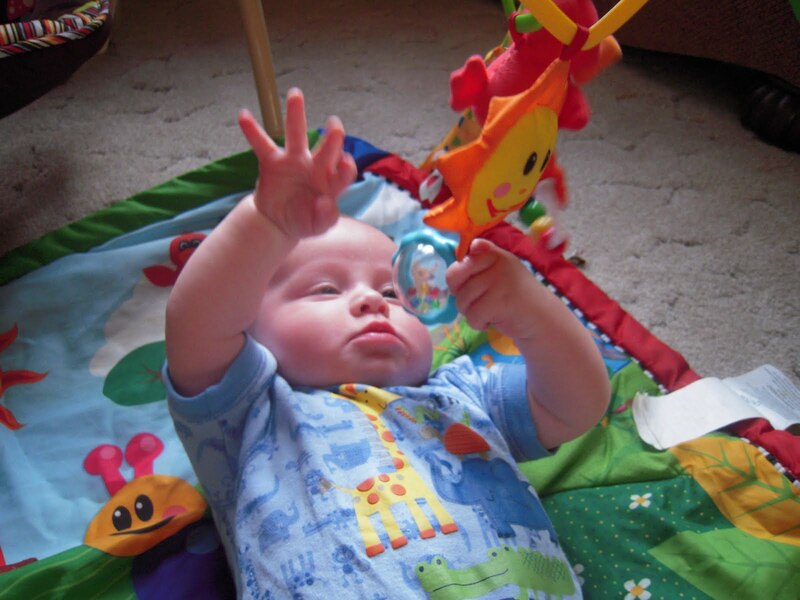 Here’s what Will does at 5 months. Hangs out on the floor. Happily I might add. Hangs out on his baby Einstein mat. Sits on the couch ready to topple over. Well, he only does that when I put him there for pictures. And he is sort of top heavy, so you can’t blame him for the toppling. 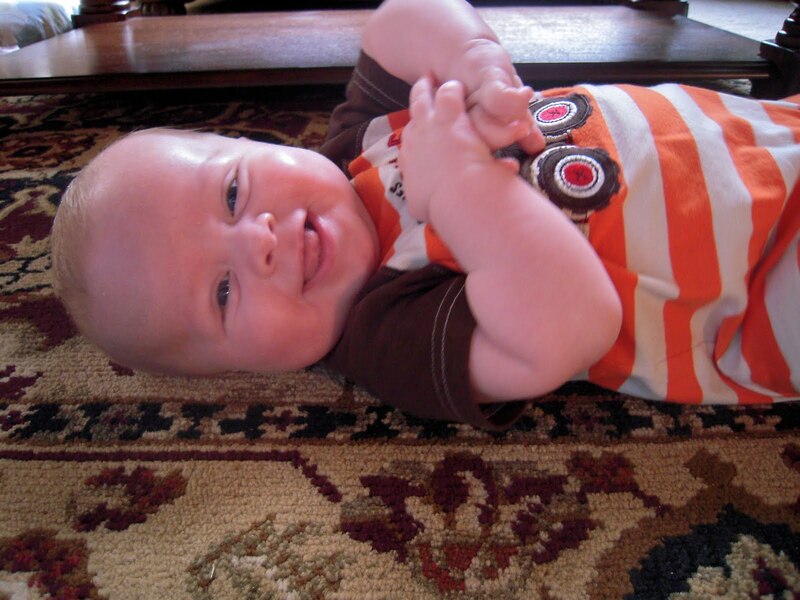 Personally, I love the put-the-baby-down-on-the-floor-and-he-stays-right-there phase. I do hope he gets out of it before he gains another 10 lbs though. My arms don’t need more of a workout. Alright, FINE. They do, but I’d prefer to work them out on my own terms. By, you know, typing and stuff. That counts right? They are such good looking kids. I still compare my kids. I just can't do it out loud anymore. Such cute pictures of both kids! I loved Kalena at that age! Will is just looking like such a happy chunker these days, what a doll. Also, I compare my child to everyone elses.. For instance, she's 10 months now and NOT walking. A little behind. Oh, 10 months is early to be walking. Kalena walked just before she turned 1 (like a week before) and that's pretty standard. Don't you remember the saying, "walk at 1, talk at 2"? I compare too but not usually negatively. I am fascinated by the differences. Malachi was soooo book smart and spoke so well. Libby is really quiet but so much more able to figure things out on her own. She much more independent. Physically they were about the same but the other stuff has been way different.